Andrews McMeel Publishing, 9781449489663, 176pp. 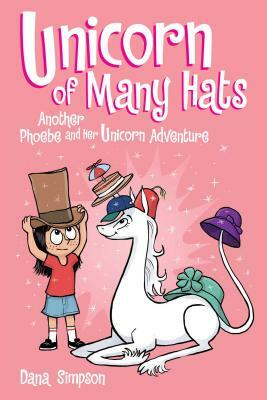 "A pink, bubble-gum bonbon of a tale spun of a likable, albeit self-centered, fourth-grader and her magical, self-obsessed, although sometimes-kind, unicorn." Marigold Heavenly Nostrils is no ordinary unicorn. She has Wi-Fi-enabled appendages. She’s the most enchanted babysitter of all time. She’s published numerous scholarly articles on the “shimmering” versus “glimmering” debate. She is, in short, a unicorn of many hats.